Hey, I have a similar idea. How do we connect? I am new to QR codes and wanted to know if it were possible for a QR code to store values into a database? For example, if a receipt printed out a QR code, and the company can scan the receipt's QR code to store details such as; the time of purchase, price etc. 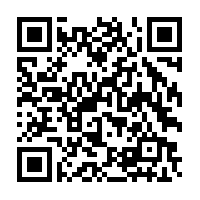 All instances of QR codes I have found so far are just retrieval of information rather than storing. Thanks for any help, again I am completely new to this technology and apologise if this question is really silly. I did use the search but I haven't found anything on the internet let alone here.Thanks again for any help.